schuh Kids — Johnny Ace · Freelance Art Director, Creative and Designer. 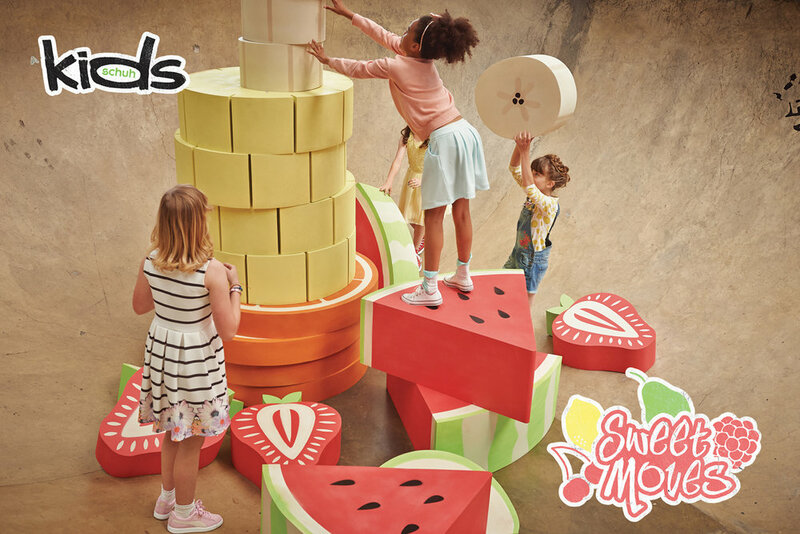 We created a giant fruit salad for this fun shoot with schuh Kids. Photographed at The XC, London, our schuh Kids campaign captures the fun and energy of childhood. We designed giant props from recycled foam which created a great focus point for the kids to interact with naturally throughout the shoot. When designing the graphics we looked to classic skate stickers for inspiration, and the result was a really fun and colourful advertising campaign. Designed at Roar Creativity. Photography by Jonny Storey.